Oh boy, if you had plans on picking up one of this year’s top flagship devices from either Samsung or HTC, this might change everything. 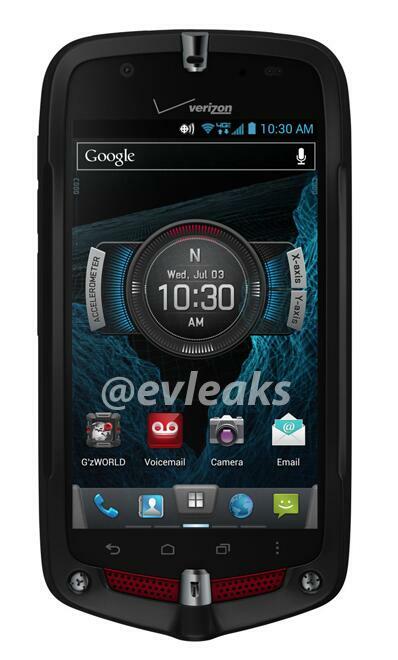 /s A new press render has leaked from the ever-so-reliable @evleaks Twitter account, showing Verizon’s upcoming Casio Commando 4G LTE. As a recap, we have seen this device pictured a few times when it made a stop at the FCC. As far as we know, the device does in fact support 4G LTE, but past that not much is known in terms of specs. We know it will definitely be water and dust resistant, but probably won’t beat out any notable devices in a benchmark. But hey, that’s not the point. The selling point of this device will be its uncanny knack for not dying after you drop it countless times while camping or out on the work site. After all, not all of us get to sit behind a desk in a cushy chair all day. No release date is known, but remember when we would hypebeast the dates companies posted on their upcoming phones? This one is showing July 3, so go ahead and pencil that in on your calendar, just in case.